Request help or offer help. If you play TT on Vista/7, there is some information you will need to know. 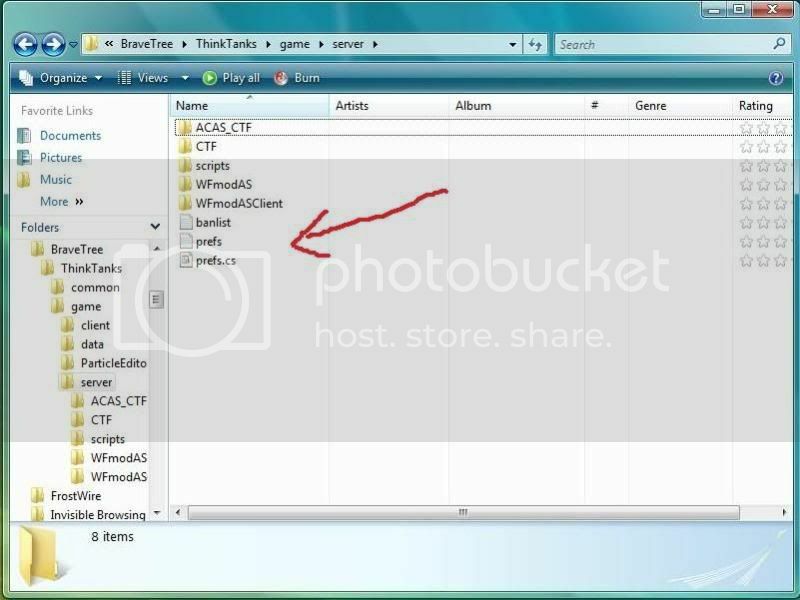 Some files seems to be placed in a different directory instead of a folder in the TT directory. 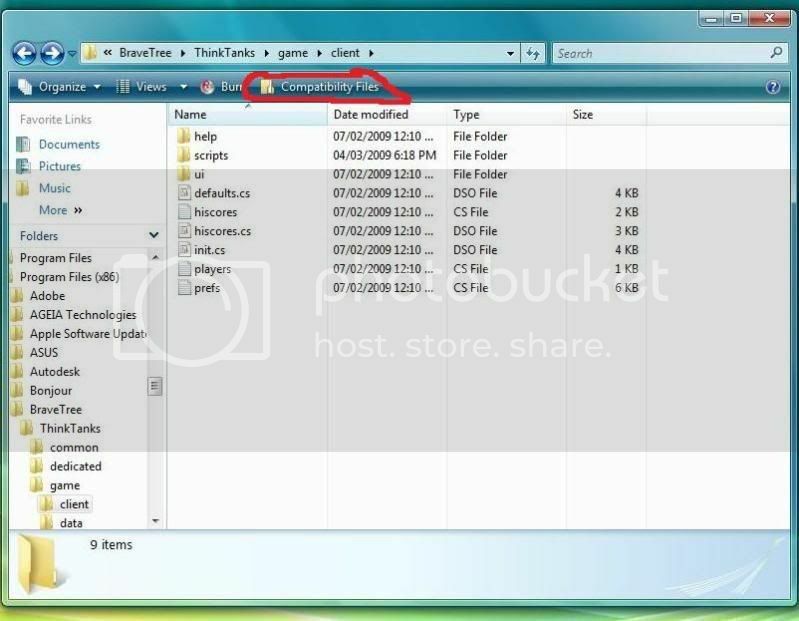 To find your REAL client prefs.cs, open up you're main TT folder, then go to game/client. Once you are there, click the button on the top - "Compatibility Files"
This also applies with .dso files. So in general, if you can't find a file you're looking for, try clicking the "Compatibility Files" button to see if its there.